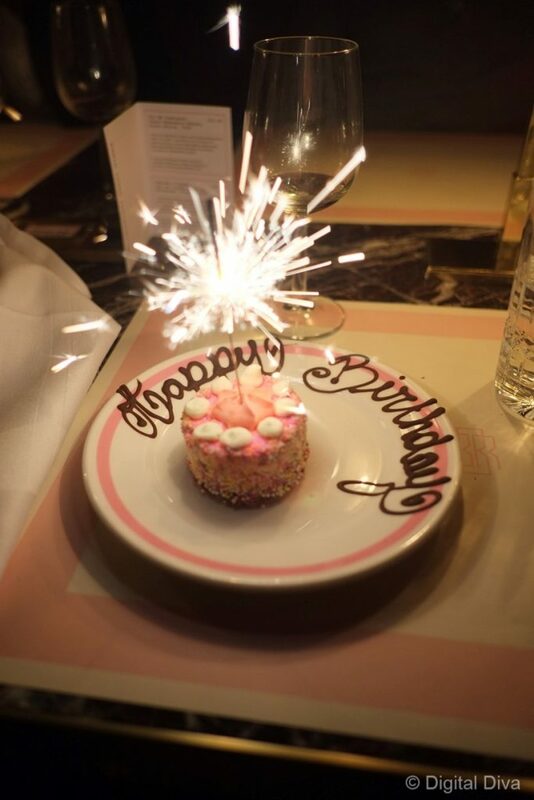 The English & Russian restaurant, Bob Bob Ricard in London, was recommended for my birthday and it did not disappoint. Firstly, the name! I loved it just for that. I asked one of the girls working at Bob Bob Ricard was the deal was and she said “Bob owns two thirds of the restaurant and Ricard owns one third”. Fair enough! 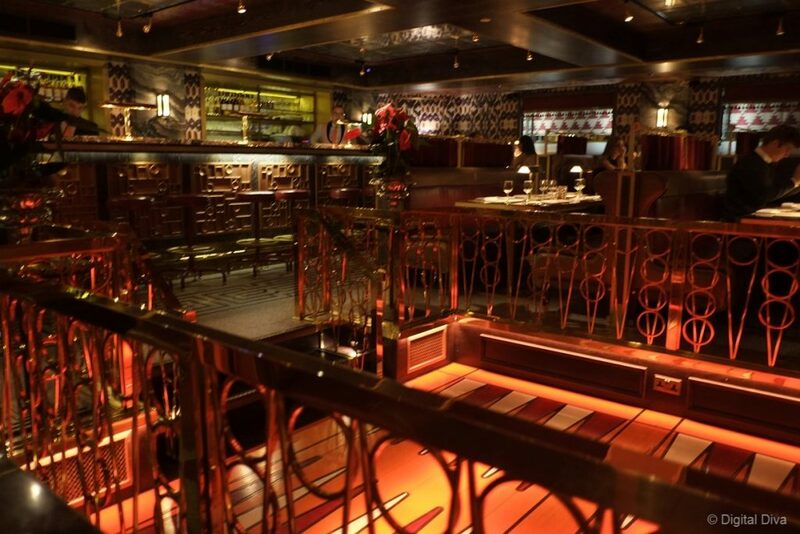 The restaurant is just off Carnaby Street in Soho and is full of art deco glam. From the outside, it’s very subtle…but get inside and it’s silver leaf mirrors all round and enough gold plate to sink a ship. First things first, we ordered some wine (New Zealand Sauvingnon Blanc…very nice) and of course then I just had to PRESS FOR CHAMPAGNE!! 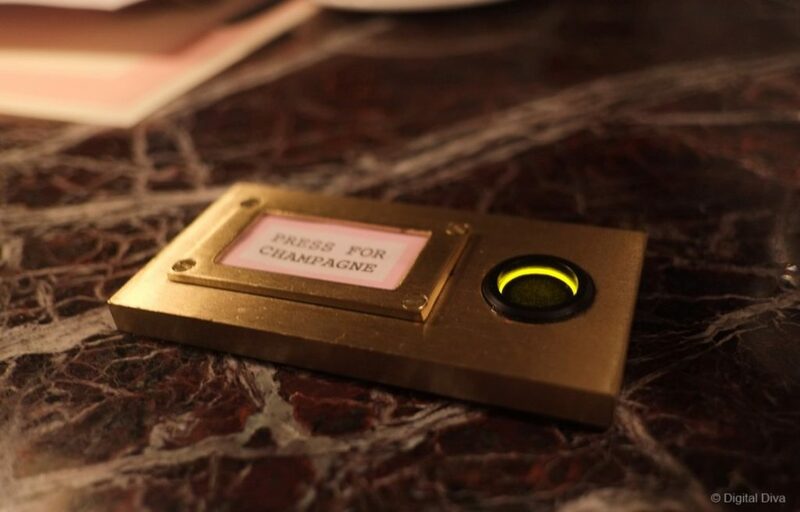 Basically, all it does is to bring your already very attentive waiter back to the table to raise an eyebrow and ask if we did indeed want champagne or just wanted to press the button. Umm…a bit of both to be honest. I ordered a glass of the Rosé champagne. 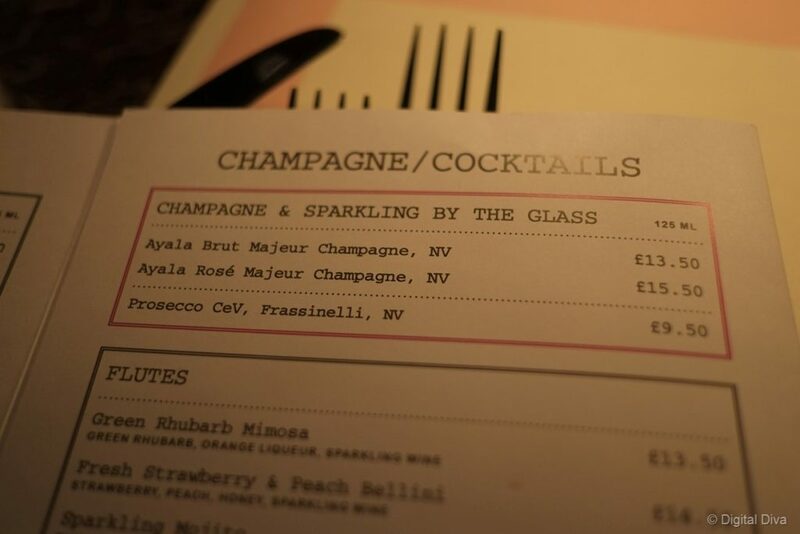 Not cheap at £15.50, but it was definitely one of the best rosé champagnes I’ve ever tasted. 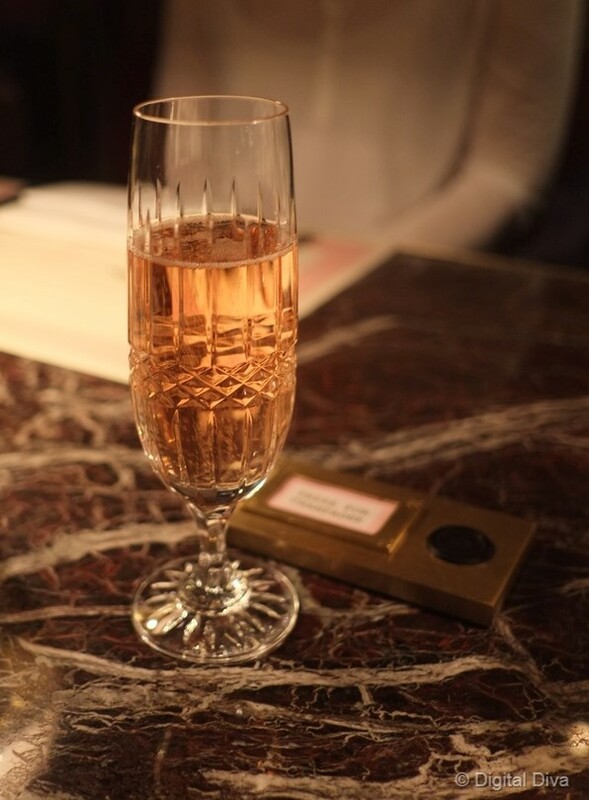 Love the beautiful champagne glasses. 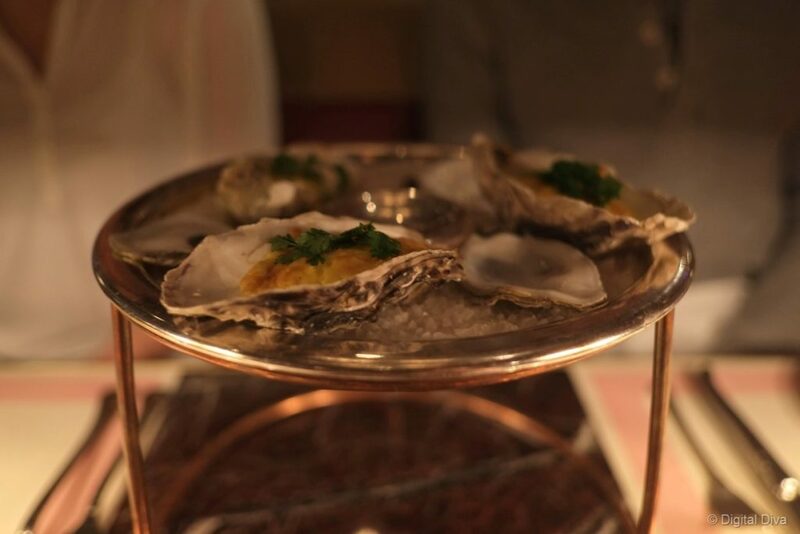 Next up at Bob Bob Ricard it was the oysters. 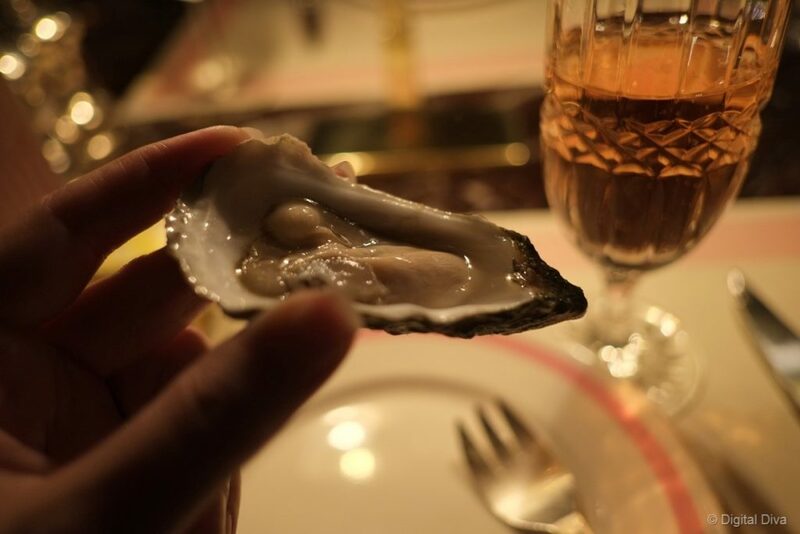 The hubby and I discovered we really liked oysters when in New York for Christmas in 2012. We stayed at the ACE Hotel which has the John Dory Oyster Bar next door. Oh man, it was so good! 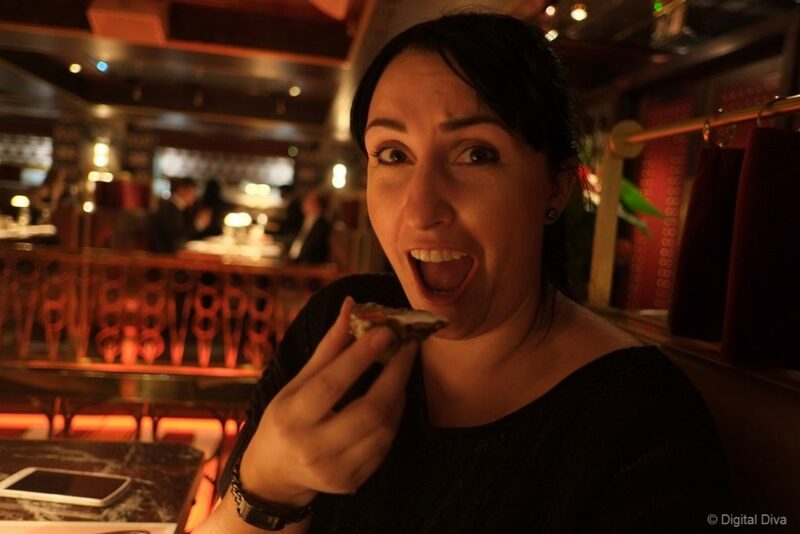 So, seeing oysters on the menu tipped choosing Bob Bob Ricard as the restaurant for my birthday. 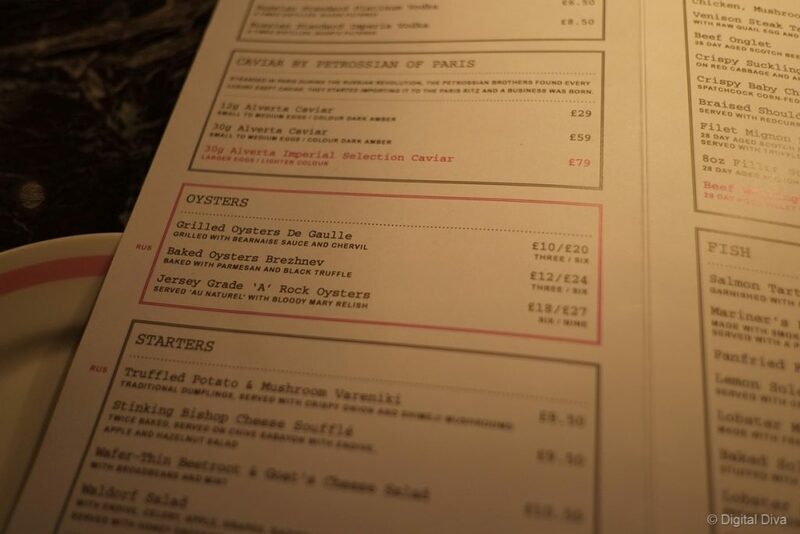 We went for three of the Grilled Oysters De Gaulle, three Baked Oysters Brezhnev and six Jersey Grade ‘A’ Rock Oysters. Hubby, my brother and me shared them, none of us had had cooked oysters before so we thought we’d branch out. All three were absolutely lovely. They preferred the Baked Oysters Brezhnev (the black truffle was just beautiful on them), I couldn’t say which I preferred if I’m honest. 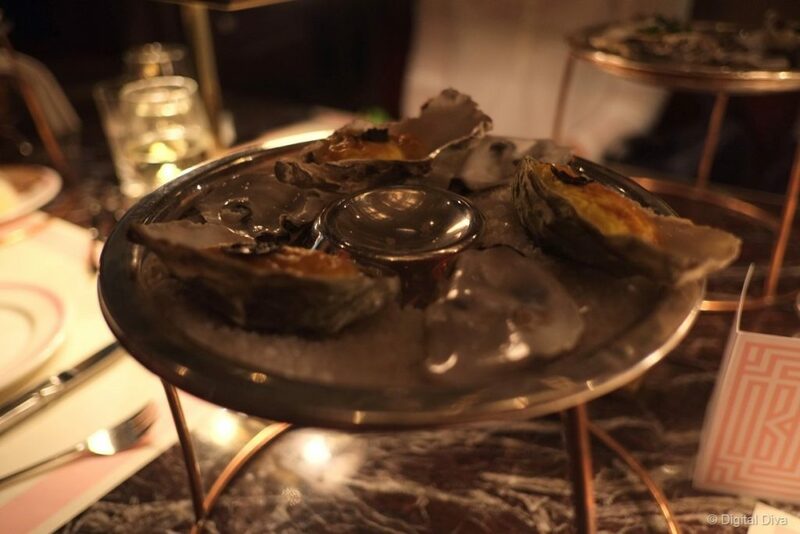 The bearnaise was beautifully balanced on the grilled oysters and the Jersey oysters were wonderful with a dash of tabasco and the bloody mary relish. Not entirely sure why I always pull that face for the camera, but I do. Oh well. 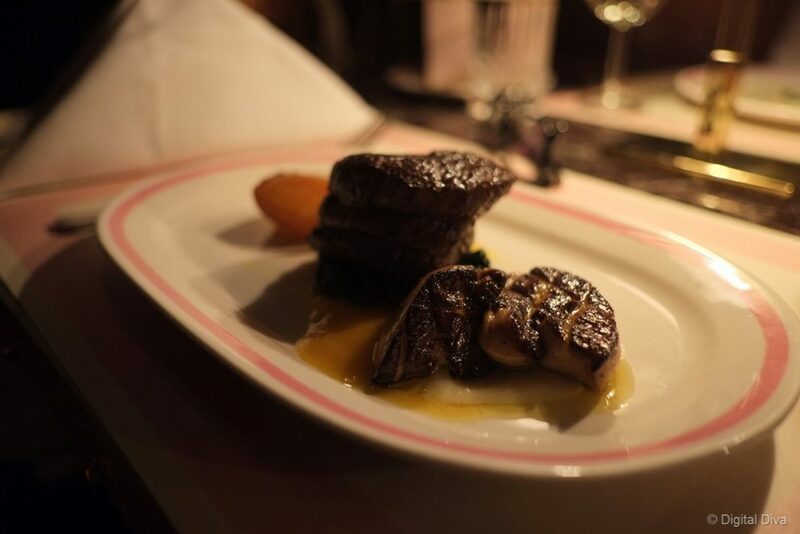 For mains, the husband plumped for the Fillet Mignon Rossini which was a 28 day aged scotch beef with seared foie gras and confit apple and truffle gravy. 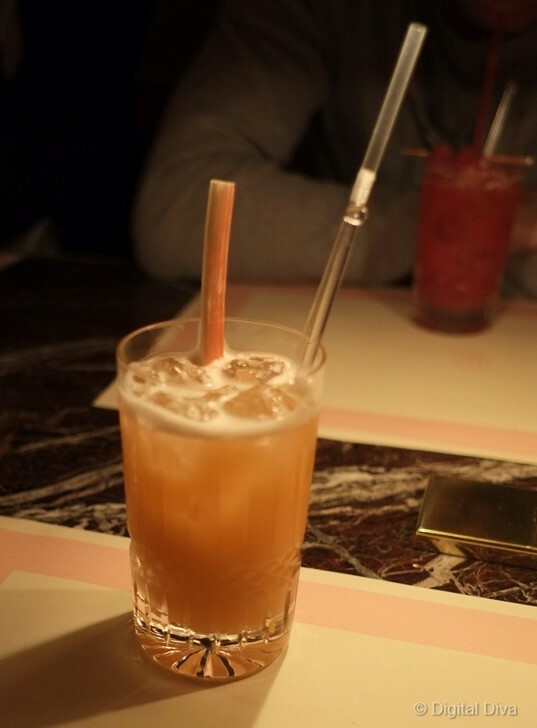 It was luscious, very lovely. I’m not a foie gras fan (both the taste and the issue behind it don’t really do it for me), neither is my husband to be honest…my brother is fine with it though and quickly finished it. 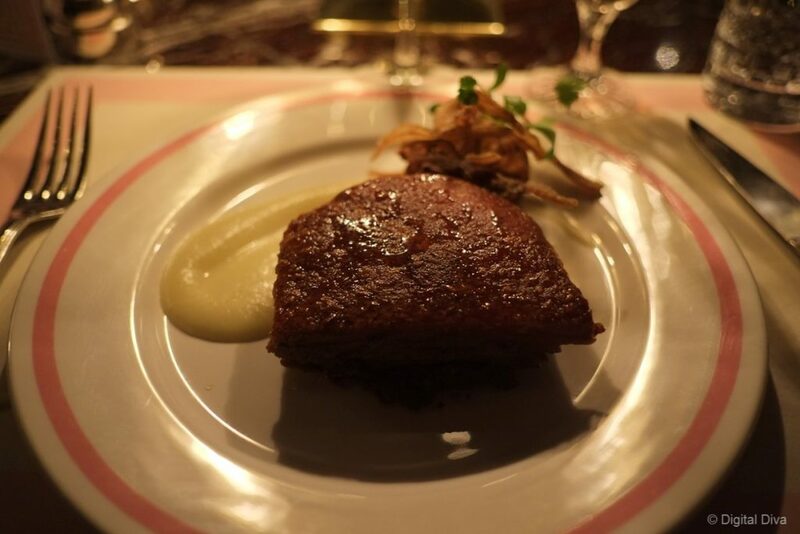 I went for the Crispy Suckling Pork Belly on red cabbage and apple purée and served with truffle gravy. I couldn’t have been happier with my choice. My brother had it too and loved it. The pork belly was cooked beautifully and the purée was very tasty. We also ordered the truffle mash (more truffles? yes please) and sautéed spring greens. 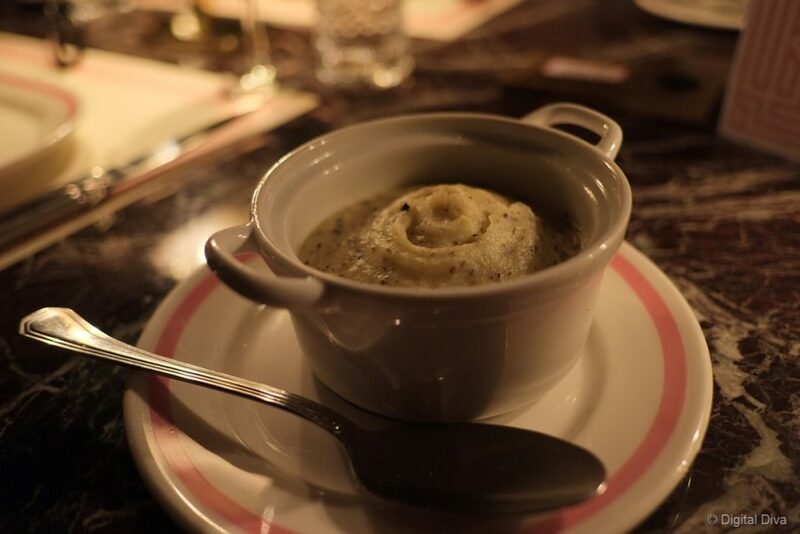 The truffle mash was like heaven, I was worried I might be a bit truffled out by then, but no…I nearly licked the pot clean. The sautéed greens was nice, just a few leaves though, I’d expected a little more. 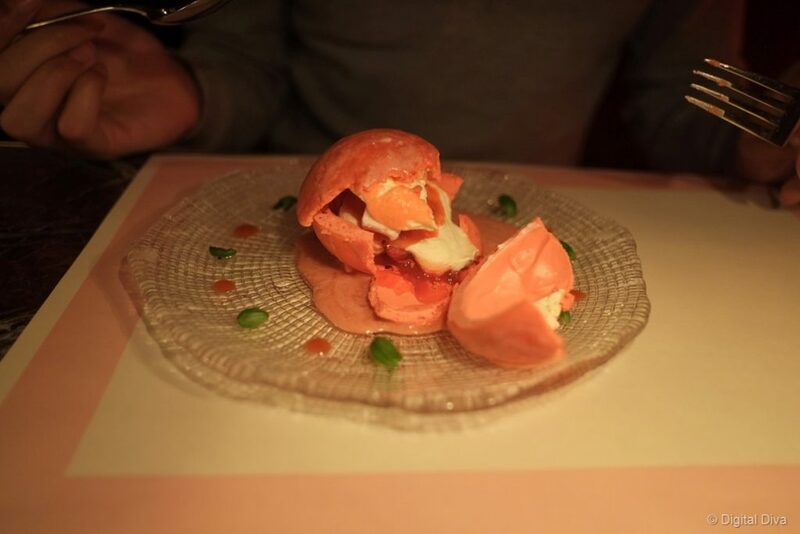 My brother’s girlfriend had the Baked Sole with Champagne Sauce which was stuffed with lobster, swiss cheese and parmesan. Very nice apparently! 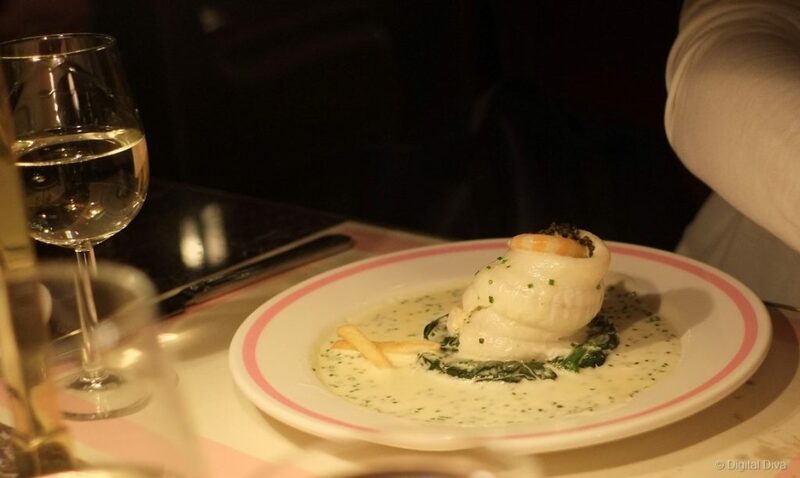 We all agreed that the meal so far at Bob Bob Ricard was pretty damn good. Now for dessert. 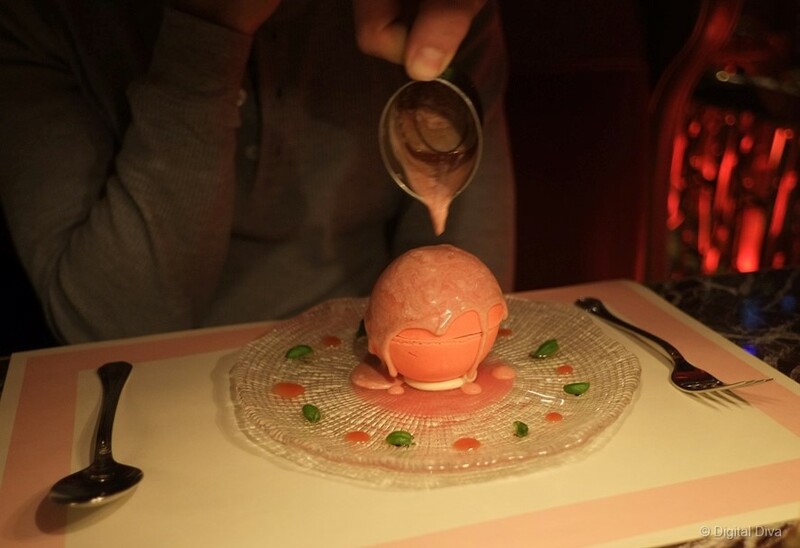 I did my usual deal with the husband of choosing two desserts we both liked and sharing. 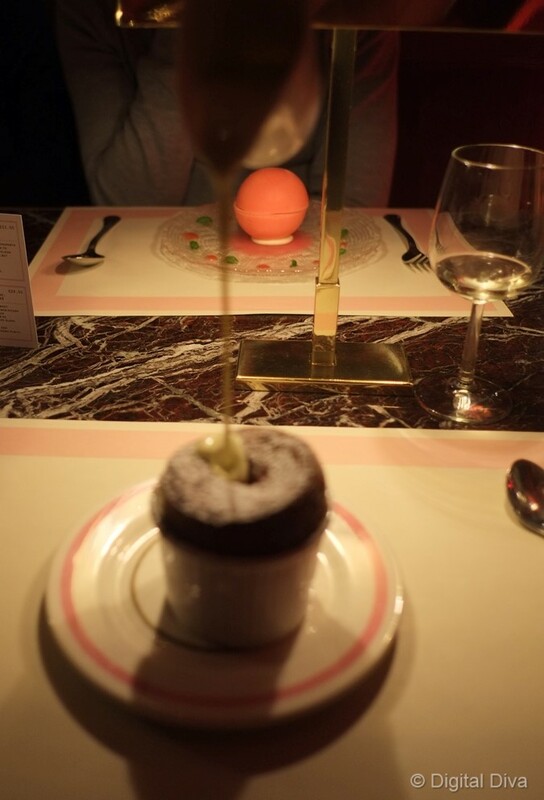 We chose the chocolate and mint souflé (sorry, my camera doesn’t like it when it’s too close to something and instead focussed on the dessert behind! I didn’t realise till after) – it was perfectly cooked and tasted amazing. 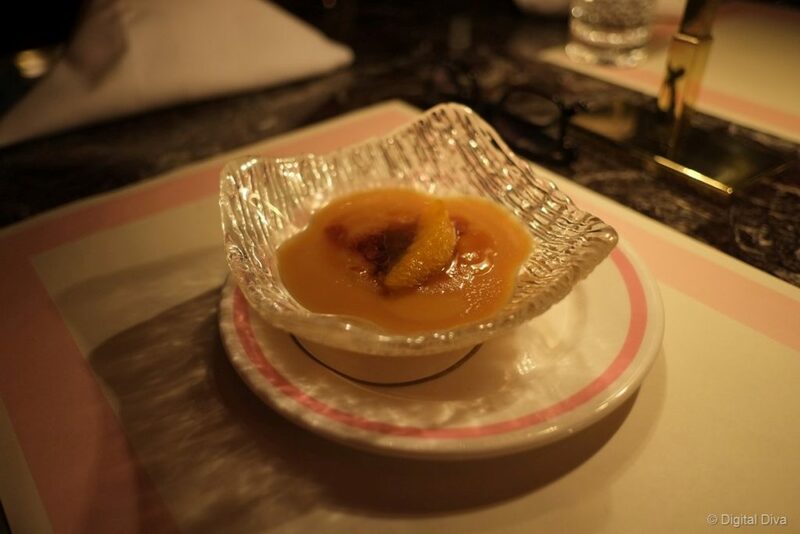 We also chose the Dulce de Leche Créme Brulée. Oh wow, it was lovely…basically like condensed milk. Maybe some people would be a little disappointed with that, but I was happy! My brother chose the Eton Mess En Perle made with lime meringue, strawberry sorbet, raspberry, marshmallows and cream. We “ooooh”ed and “ahhhh”ed a lot over his dessert, it tasted really good and the textures worked very well. 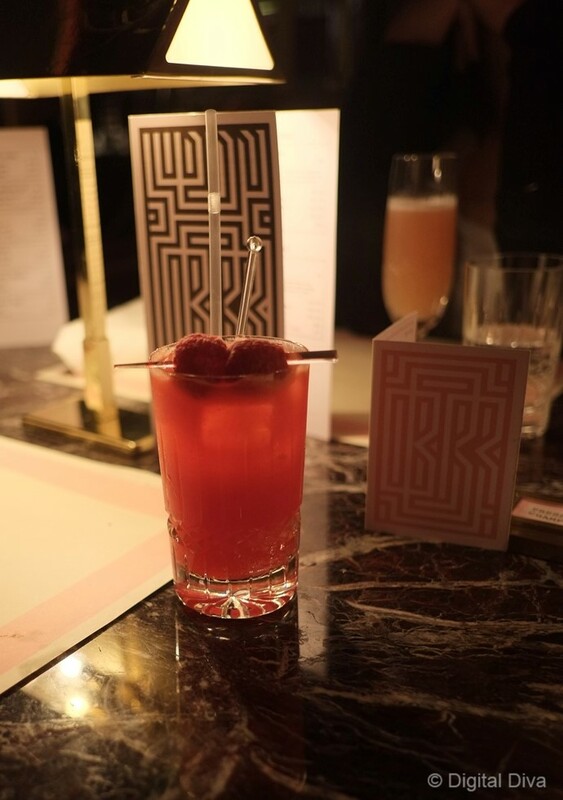 We finished with cocktails…raspberry collins and green rhubarb mimosas. They were nicely made, but I wouldn’t say they were quite worth their £15 odd price tag. I would say that the champagne and the wine were better options. They very kindly brought an extra bit of cake too to say Happy Birthday. Beautiful writing! 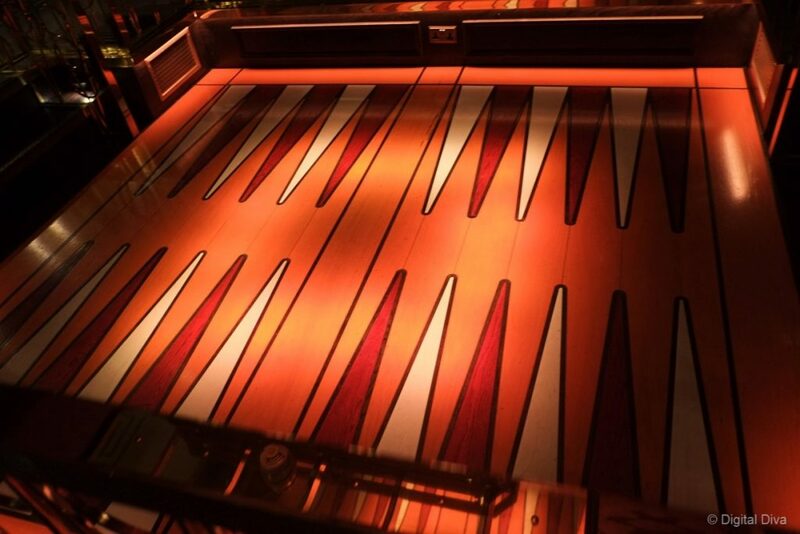 …and then, remember I mentioned the blackgammon ‘dance floor’ at Bob Bob Ricard? Up until this point it was just for finely dressed ladies tottering over it in sky high Louboutins. 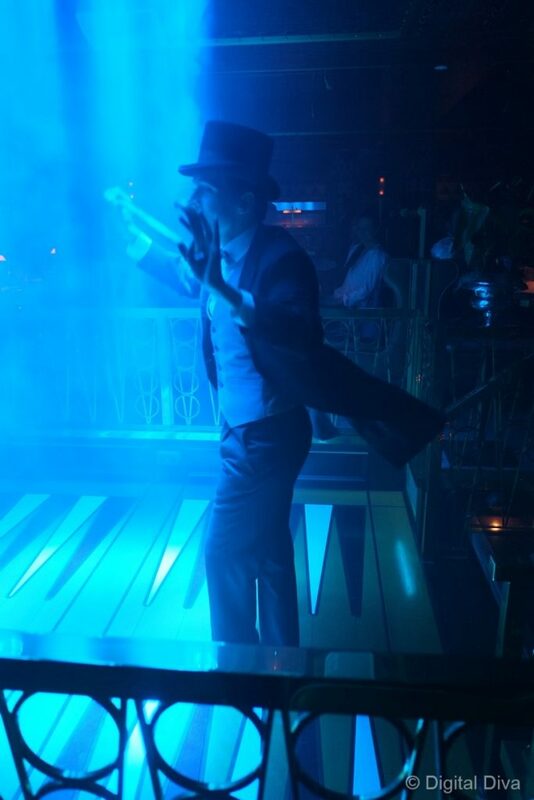 However whilst we drank our cocktails a guy came through the doors to do a little number which lasted no more than 5 mins – basically he managed to balance that cane and hat in many ways! (not like that, get your mind out of the gutter!). It was quite impressive! We had a great meal and I’d definitely recommend eating there. 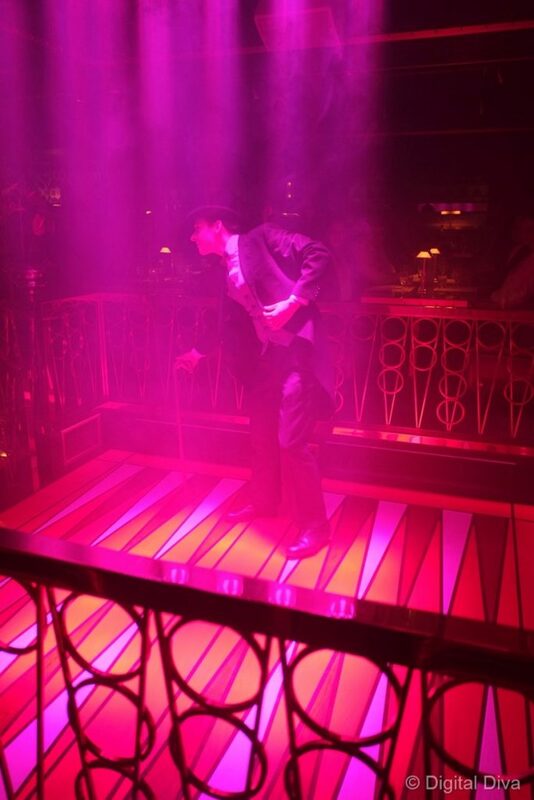 You can find Bob Bob Ricard on Upper James Street in London. Booking is advised.